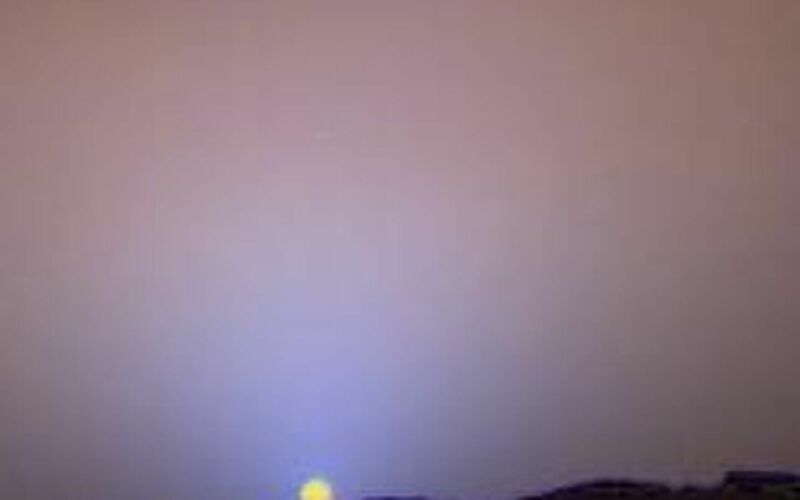 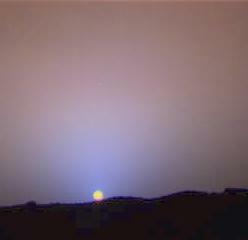 This is a close-up of the sunset on Sol 24 as seen by the Imager for Mars Pathfinder. 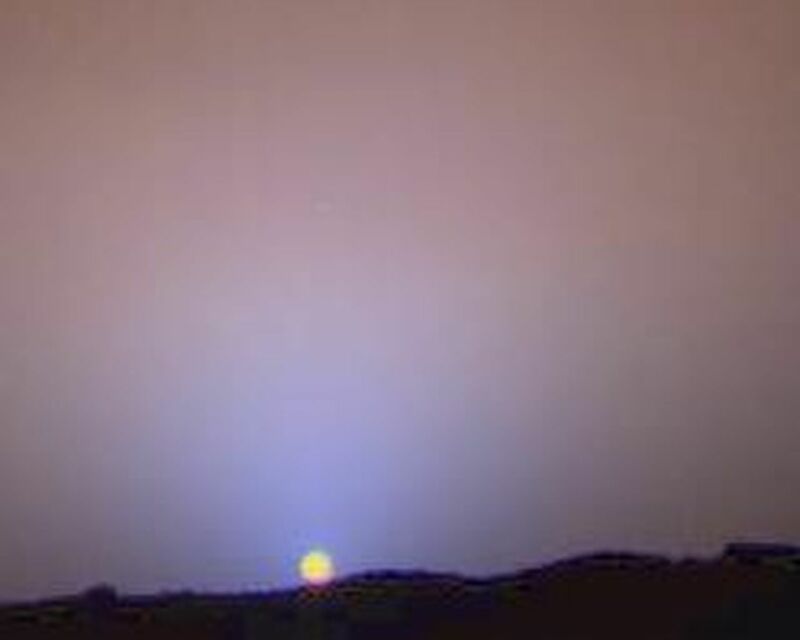 The red sky in the background and the blue around the Sun are approximately as they would appear to the human eye. The color of the Sun itself is not correct -- the Sun was overexposed in each of the 3 color images that were used to make this picture. 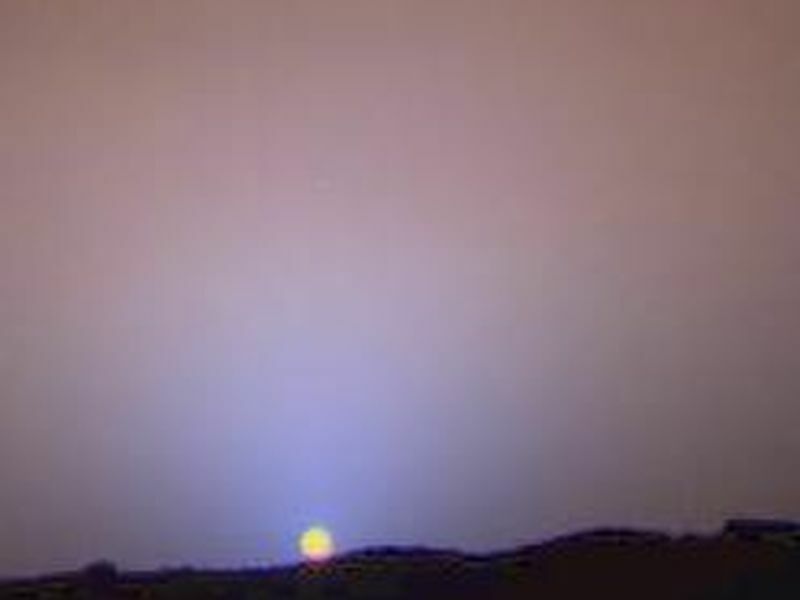 The true color of the Sun itself may be near white or slightly bluish.